The Samsung Galaxy S10 range has landed, with something for everyone. 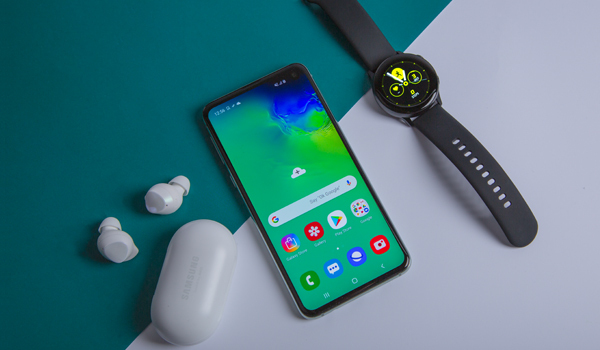 We recently got hands-on with the S10, and it blew us away. The S10e has a decent-sized 5.8-inch display, but its tiny bezels make it really compact - it’s just 142.2mm in length, so it’ll fit easily into most pockets. Straight off the bat, we can see this size being a hit with people who aren’t fans of larger handsets. 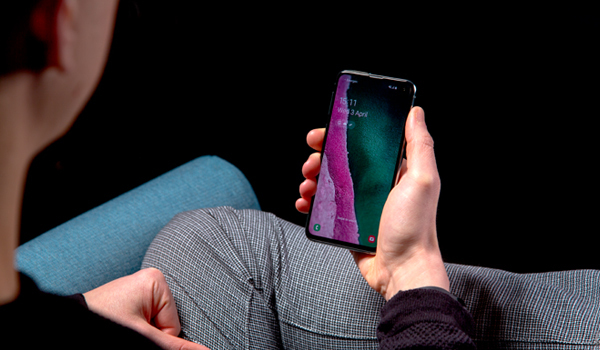 On the rear of the S10e, there’s the same curved glass design that you’ll find on the S10 and S10 Plus. But things are flat-out different around the front. The S10e’s display doesn’t have the rounded edges that most other Samsung flagships do. The edges are flat, making the aluminium body a little thicker and giving the phone a more substantial look and feel - you get a really good grip when you hold it. We can see this being a hit with anyone who finds the sleek design of some flagships too smooth and slippery. What about the display? Well, the S10e has exactly the same dynamic AMOLED screen tech as the S10 and S10+. That’s great news, and it means you get the same vibrant colours and deep blacks. 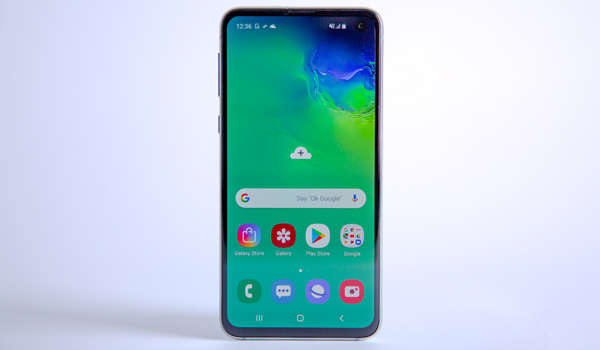 It really is a fantastic looking display, and it’s incredibly bright too – you’ll be able to use the S10e in bright sunlight with no issues at all. The only difference between the S10e and its two bigger family members is that it doesn’t have state-of-the-art WQHD+ resolution (3040 x 1440 pixels). Instead, you get Full HD+ resolution (2280 x 1080 pixels) that’s crisp and sharp. We’re not complaining. 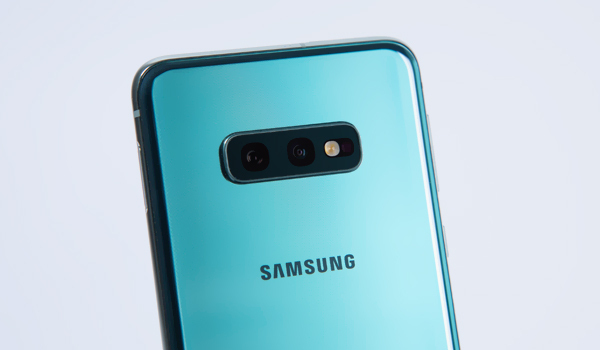 The S10e has a dual pixel 12MP + 16MP camera. The only difference between the other S10s is that it doesn’t have optical zoom. But apart from that, you’re getting the same image quality when you take a shot. We tried it out in daylight and got some fantastic looking shots, even if we do say so ourselves. Our photos were full of detail, and the camera does a great job of handling bright sunlight and dark shadows. Meanwhile, that ultra wide-angle lens is great for adding drama and making shots look more epic. To help keep your S10e safe and secure, there’s a fingerprint sensor embedded in the power button on the right side of the phone. Okay, so it’s not the fancy new in-screen fingerprint scanner that the other S10s have. But it has its advantages. For a start, it’s actually a little faster (yes, that surprised us too). And because you’ve got a physical button to feel for, it’s also really easy to find. The S10e has less RAM than the S10 (we’re talking 6GB vs 8GB), but here’s the thing – we didn’t notice any difference in speed or performance. We enjoyed lengthy multi-player gaming sessions and split-screen multitasking on the S10e without any issues at all, and we got exactly the same experience with the S10. Both phones share the same Qualcomm Snapdragon 855 processor, so perhaps the S10e’s performance shouldn’t come as a surprise. We couldn’t help being impressed though. The S10e is perfect for anyone that doesn’t have the cash to splash on a flagship phone. It packs in almost everything that the other S10s have, but comes at a much lower price. The S10e isn’t just part of the S10 range. It’s also a part of the Samsung family of devices and accessories, designed to work in perfect harmony with each other. If you like listening to music on the go, you can pair the S10e with a set of wireless Galaxy Buds. They work right out of the box, and they’ll connect with your S10e in an instant via Bluetooth. You can then enjoy stunning sound when you’re out and about, without any wires getting in the way. Or what about the Samsung Galaxy Watch Active? 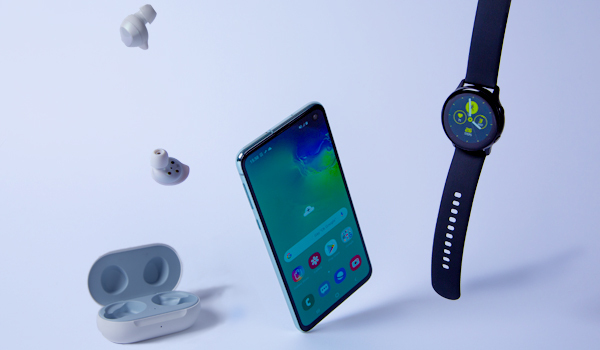 Sync this stunning smartwatch with your S10e and you’ll be able to get messages on notifications on your wrist, without having to take your precious phone out of your bag or pocket. Its display looks stunning, the fingerprint scanner is quick and easy to use, and if you don’t mind missing out on that third zoom camera lens… it’s an easy choice, right? 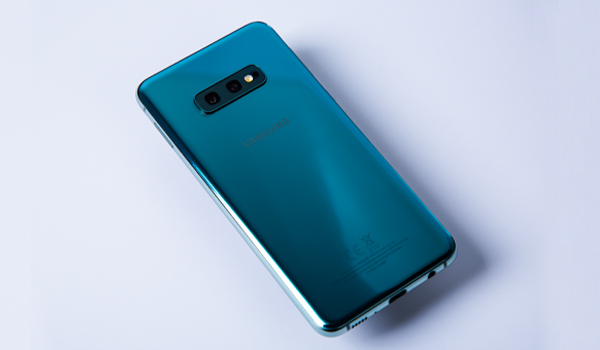 Buy the Samsung Galaxy S10e from Carphone Warehouse.